The Stella Gambler Uke is from the 1920 s and is a very rare breed. A perfect compliment to the Stella Gamber Guitar. 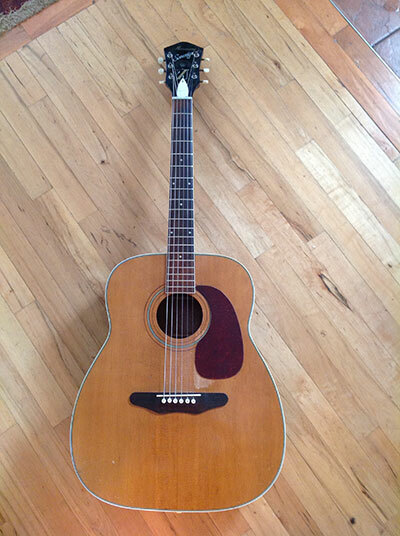 Beautiful sounding all Mahogany Pre War Martin. Loud, focused 14 fret gem from Martins golden age of production. An affordable example from the era. Can be heard on my version of "Champagne Charlie" from Billy Bratcher In The Lobby recording. 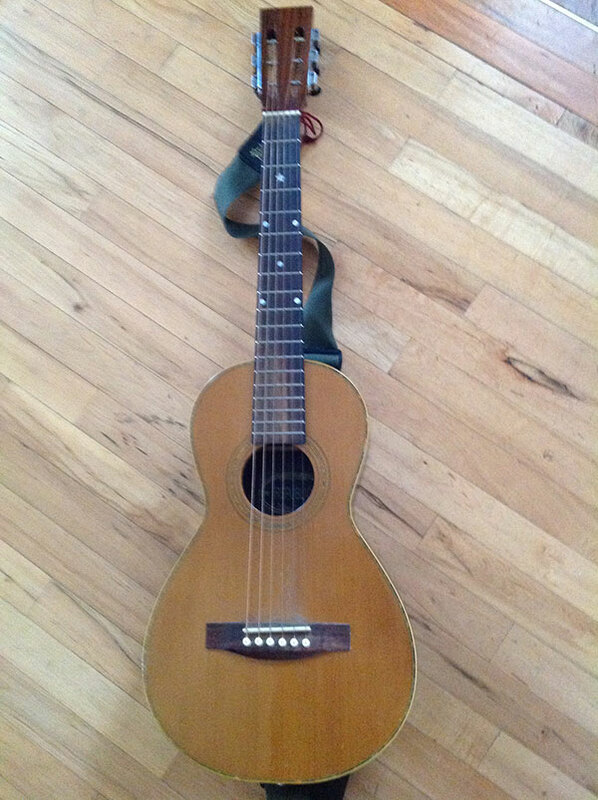 Beautiful sounding spruce top Martin. Very warm, dry, aged wood tone. Smaller neck then the pre war 0 17. The very best porch picker. This instrument was given to me by a very good friend and blues enthusiast. It was very inspirational in the birth of my In The Lobby recording and can be heard on all tracks but one. Can you guess what track I didn't play it on ? Think Reverend Gary Davis when trying to define the beautiful rich tone of this instrument. 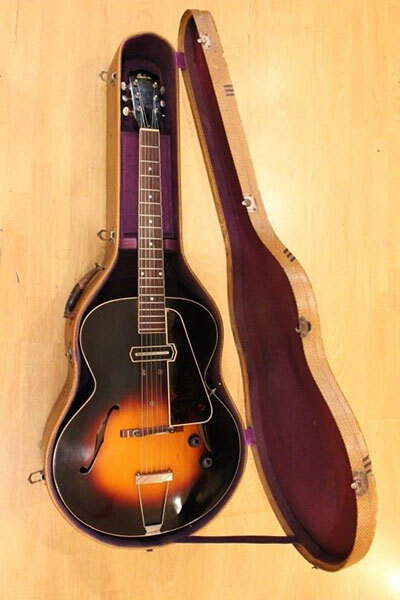 Excellent example of Gibson's rarest slope shoulder model of the B 45. This is a fantastic jumbo workhorse. Great for bluegrass or the blues. Ladder bracing on a large body guitar is fairly rare. This has ladder bracing lending itself for a very unique tone and desirable tone by many. The Circle Strings BB Special is my main performance guitar. It is a design based on the 1920 s Gibson Nick Lucas model. 90 year old German spruce top, Sapele back and sides, 12 fret, slotted headstock and just about perfect for the style of music I play on it. I couldn't recommend Adam Buchwald more if you desire a very special heirloom instrument for professional or personal use. 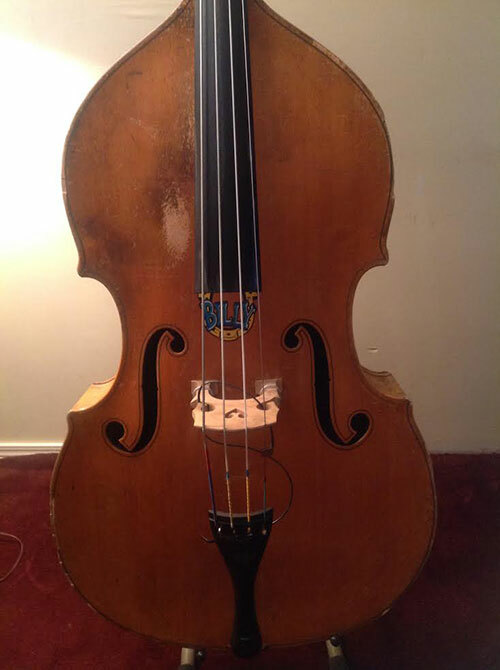 This is a very rare string bass manufactured by Kay. I acquired in trade for a Roland jazz chorus amp. 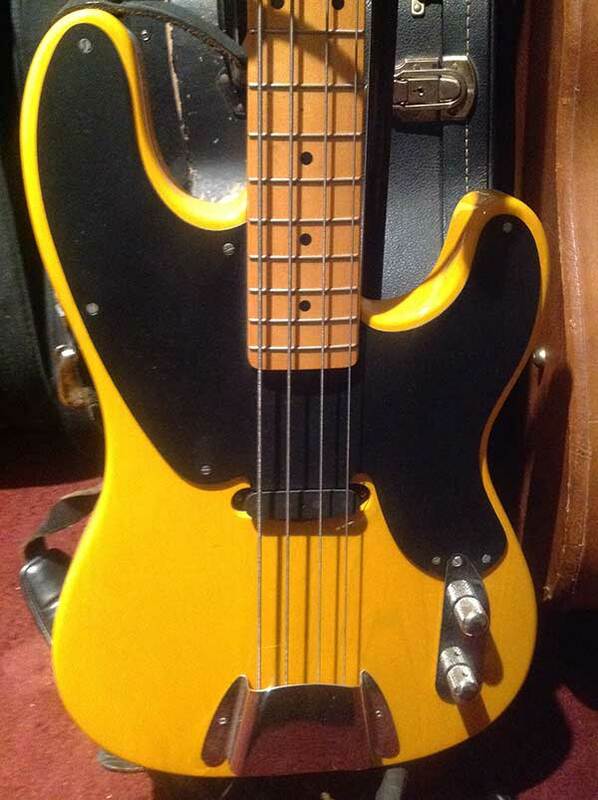 This bass started my career and traveled with me throughout the US on many occasions. It has a great punchy tone when amplified that many jazz and bluegrass players dream of. A great workhouse that has seen many a Honky Tonks. I string the bass with Eurosonic light gauge strings. Another excellent double bass from Kay. 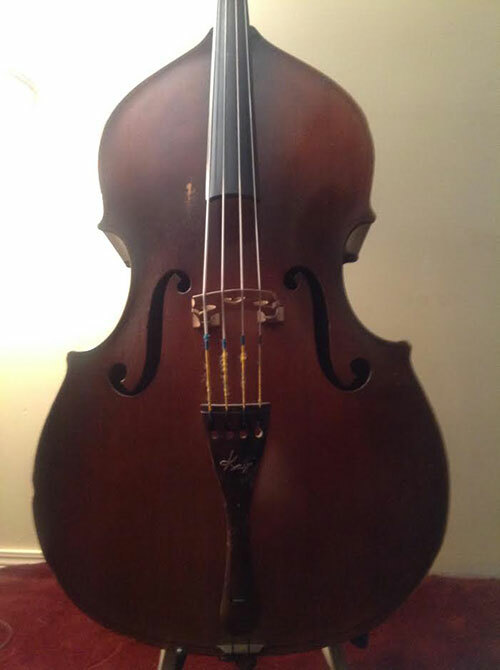 This one has a beautiful full tone and was purchased at Paul Perley Cellos in Berlin,Vermont. Paul and Robinson Morse handles all of my repair work and I highly recommend them to you. A beautiful amp in looks and sound. It features the original field coil speaker and its tone can match any from the era. The Christian ES 150 played through this amp was simply gorgeous. 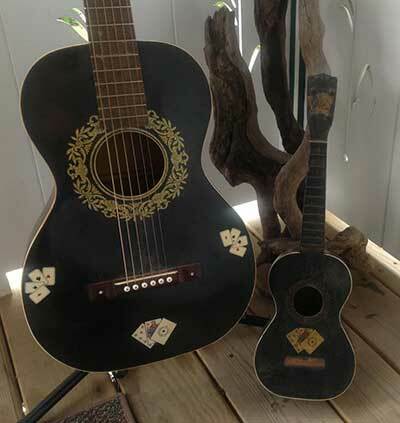 This fun little picker features ladder bracing for that 1920s blues tone many fingerstyle players desire. A great little affordable instrument. This was traded for the shirt of my back at Vermont's Roots on The River Festival in exchange for the instrument. Steve from www.vintageparlorguitars.com mentioned that his wife whom spied the shirt, desired it. I obliged for a fare exchange for this little box.